I am no stranger to intolerance. As a conservative, pro-life, evangelical woman, I have been called names and denounced for my beliefs many times over the years. Unfortunately, here we are again. Earlier this month, I was attacked in what many regard as yet another attempt to censor the conservative movement. This was the work of an intolerant mob trying to repress views different from their own. 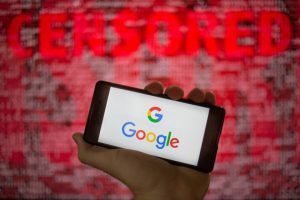 In case you haven’t heard, here is what happened: Google recently announced its decision to create an external advisory council that was meant to guide the company on how to ethically develop artificial intelligence. Google invited me to participate on the council, and I accepted. Unfortunately, when Google made the announcement, some individuals inside and outside the company who don’t have an appreciation for a diversity of viewpoints created an uproar. They used Heritage’s and my stance on several issues, such as immigration reform and radical gender identity proposals, to label me a bigot – which is baffling seeing that I’m a 69-year-old black woman who grew up fighting segregation. They circulated a petition to have me removed from the council. In light of this pressure, Google decided to disband the council. I responded to these events in an op-ed which appeared in the Washington Post. In it, I explained how I was disappointed to see the advisory council abandoned, as I welcomed the chance to not only lend a conservative perspective to Google, but also to give both me and my fellow council members an opportunity to learn from and better understand each other’s viewpoints. I have seen intolerance take many forms over the years. Whenever it rears its ugly head, we must stand up to it and push back against those who try to suppress the “others.” America must be a place where people with different beliefs and faiths are treated with respect. I assure you, Heritage will not be silenced or intimidated. We will continue to be your voice in the public square advocating for ideas and policies that build an America where freedom, opportunity, prosperity and civil society flourish.